International Relations BINUS University | Charanpal Singh Bal, Ph.D.
Charan is the Deputy Head (Global Class) in International Relations Department, Binus University. He oversees curriculum development in the department and runs the Global Class in International Relations. Charan received his Ph.D. in Politics from Murdoch University’s prestigious Asia Research Centre in 2013. He researched on migrant labor politics in Singapore, combining a political-economy analysis of the country’s migrant labor policies with an industrial ethnography of migrant construction workers. He had previously completed his bachelor’s and master’s degrees in Sociology and Anthropology at the National University of Singapore. He is also a recipient of the Asian Studies Association of Australia Ph.D. Thesis Prize 2014 (joint-winner) and the Ananda Rajah Prize for best Masters Thesis in Sociology and Anthropology 2008. 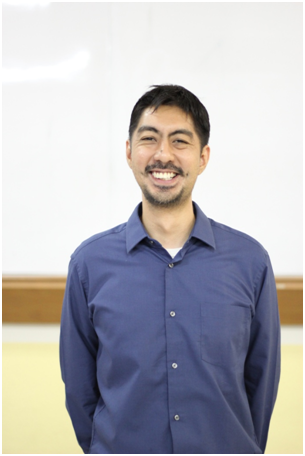 Prior to joining Binus, he was a Visiting Lecturer at the Department of International Relations at Universitas Katolik Parahyangan (Unpar) in Bandung having previously taught at the National University of Singapore, the Nanyang Technological University, and the UniSIM Open University. He also has considerable civil society experience having worked for the Humanitarian Organization for Migration Economics in Singapore. Charan’s research is in the field of migrant labor politics in the Asia-Pacific. His forthcoming book entitled Production Politics and Migrant Labour Regimes: Guest Workers in Asia and the Gulf will be published by Palgrave Macmillan in 2016. He has also previously published in the Journal of Contemporary Asia and the Asian Journal of Law and Society. His other areas of academic specialization include civil society politics and the political economy of Southeast Asian societies. Bal, C. S., & Gerard, K. (2017). ASEAN’s governance of migrant worker rights. Third World Quarterly. Bal, C. S. (2016). Production Politics and Migrant Labour Regimes: Guest Workers in Asia and the Gulf. Springer. Bal, C. S. (2015). Dealing with deportability: Deportation laws and the political personhood of temporary migrant workers in Singapore. Asian Journal of Law and Society, 2(2), 267. Bal, C. S. (2015). Production politics and migrant labour advocacy in Singapore. Journal of Contemporary Asia, 45(2), 219-242. Bal, C. (2013). The politics of obedience: Bangladeshi construction workers and the migrant labour regime in Singapore(Doctoral dissertation, Murdoch University). Bal, C. S. (2015) Prevalence of Domestic Worker Abuse in Singapore – it’s more than just our culture. The Online Citizen, December 20, 2015. Bal, C. S. & Faure, G. (2013) Singapore’s Little India Riots: Tensions had long been brewing. France24, December 9, 2013. Asian Studies Association of Australia PhD Thesis Prize, 2014. Asia Research Bursary, School of Social Sciences and Humanities, Murdoch University, 2010-2011. Murdoch International Postgraduate Scholarship (MIPS), Murdoch University, 2009-2013. Ananda Rajah Prize for best Masters Thesis in Sociology/Anthropology, Faculty of Arts and Social Sciences, National University of Singapore, 2008. Graduate Research Scholarship, National University of Singapore, 2003-2005. Dean’s List – Faculty of Arts and Social Sciences, National University of Singapore, 2002.